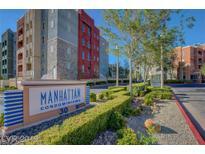 Below you can view all the condos for sale in the Manhattan subdivision located in Las Vegas Nevada. Listings in Manhattan are updated daily from data we receive from the Las Vegas multiple listing service. To learn more about any of these condos or to receive custom notifications when a new property is listed for sale in Manhattan, give us a call at 702-323-5939. Community has dog park, multiple pools, Gym, 24 hour security. Come take a look. MLS#2086209. Simply Vegas. Unit is meticulous and has a dogie door and wine fridge. Priced to sell fast. MLS#2082546. Signature Real Estate Group. Terrific 2 Bedroom in the guard gated Manhattan Complex South end of LV Blvd, featuring 24 hour security, Open Floorplan, Corner unit, tons of natural light overlooking the community park, Custom Cabinets, Granite counters, Upgraded Baths, Balcony overlooking the park, Community Pools, Gym, and so much more. Come Take a look. MLS#2081134. Simply Vegas. No need to leave the property all amenities right there! MLS#2078911. All Vegas Valley Realty. Come view this amazing property today! MLS#2078904. Heidel Realty. Large Balcony With Mt Charleston Views, Outstand Location Right On South Strip With Excellent Access To Everything In The City. MLS#2079638. Wardley Real Estate. Stunning Views Of Our Valley From The Balcony. Enjoy MLS#2076447. Urban Nest Realty. 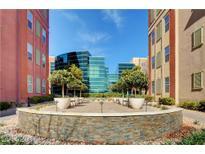 Community Amenities include 2 pools/spas, Gym, Tennis, Central Park Area! MLS#2076674. Robinson Realty & Management. Located conveniently off Las Vegas Blvd, close to shopping, entertainment and freeway access. Come see today! ! MLS#2074280. Easy Street Realty Las Vegas. 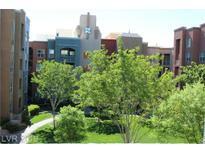 Unit is move-in ready & a MUST SEE! MLS#2072999. Coldwell Banker Premier. Great Spacious Open & Airy floor plan with Gourmet Kitchen, Custom Cabs, Granite Tops, walk in pantry, beautiful wood laminate flooring, huge balcony with views, Resort Style Living at it's finest with Clubhouse, Recreation area, business center, exercise & weight room, BBQ area in Central Park large pool with lounging area, Guard Gated and directly down the street from World Famous Las Vegas Strip...a real winner MLS#2069715. HomeSmart Encore. Balcony with beautiful views! All appliances included and MORE! MLS#2069766. Mahsheed Real Estate LLC. Community includes: guard gated, fitness center, clubhouse, pool, spa, firepit, and bbq area perfect for gatherings. MLS#2052137. Simply Vegas. Kitchen has Granite countertops oak cabinets, tile floors. Balcony with great views! MLS#2051565. Realty ONE Group, Inc.
*guard Gated Community Featuring 2 Pools/ Spas, Fitness Center, Bbq Area & So Much More*shopping, Dining, Freeway Access & Entertainment Nearby*corner Unit Is Located On The 1st Floor For Easy Access To Amentities*assigned Garage Parking*open Floor Plan W Plenty Of Natural Light*kitchen Includes Granite Cntrtps W Bar Seating & A Lg Pantry*spacious Mstr Suite W Dbl Sinks, Make Up Table & Huge Walk In Closet*cvrd Patio*great Investment Opportunity* MLS#2049512. Keller Williams Market Place. Located in a guard gated community with plenty of luxury amenities. MLS#2039987. Platinum R.E. Professionals. This complex has a lot of amenities YOU REQUIRE! MLS#2034647. Costello Realty & Mgmt. All Information, Schools, Measurements To Be Verified By Buyers And Buyers Agent. MLS#2019611. Prominent Realty Group LLC.